New Listings were up 3 percent. Median Sales Price was up 8.5 Percent. 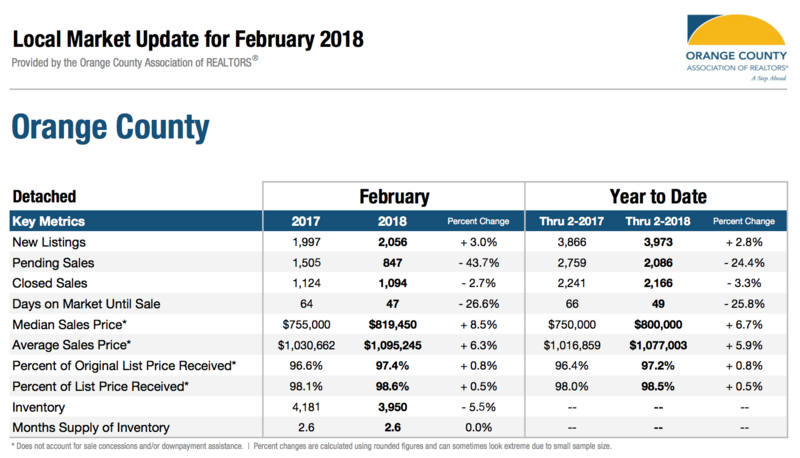 ﻿Click Here to get a full report of Orange County's latest Real Estate Market Trends.